My boyfriend's sister actually requested for a post on whitening products or just something to get rid of freckles. When I thought about it.. I really haven't used anything of that sort. Freckles don't really run in my family, and I'm hardly out in the sun to get any dark spots. 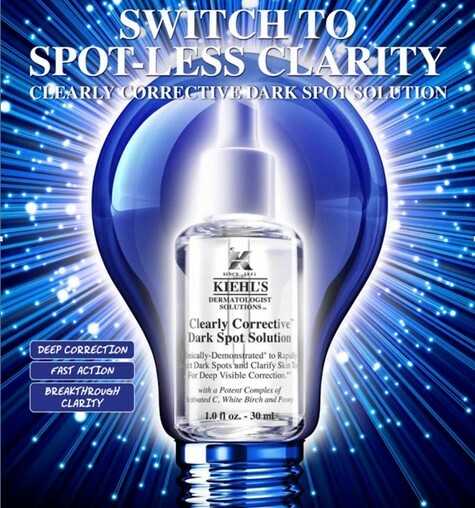 However, I remembered that I did purchase, and use, Kiehl's Clearly Corrective Dark Spot solution for about 3-4 months so I can give a pretty thorough review on it! Now, I must mention that I have stopped using this product for awhile, so I do not have any first hand pictures of myself to share. Nonetheless, I will try my best to create as thorough a review as I can. Personally, I no longer use this product because I had/wanted to try out the whole line of Dr Hauschka products. It doesn't mean that this isn't a good product, because I have heard raves about this as well. It just didn't suit me too well. I bought this product after trying out the sample; which I must say, comes in very cute packaging. I used the sample for a few days, then remembered I had a voucher for capitamall, so I bought my very own bottle at City Hall's Robinsons. Now, though I do not have freckles, I did use it to brighten up my overall complexion and soothe my dry skin and open pores. My friend told me it also helped her with her acne scars, lightening them significantly over a shorter period of time. The packaging is quite beautiful. There is something so simple about white and black against a glassy background. It just looks so elegant. The bottle isn't too big, and fits nicely in the palm of my hand. I would say the height is about 10cm tall (from the top of the dropper) to the bottom of the bottle and contains 30ml of product. One complaint is that the bottle is transparent, which means the product can oxidize quickly and become less effective if you do not keep it away from sunlight. So you do have to be careful and keep this is a darker, cooler location. Liquid is transparent and has no fragrance. Rather sticky at first use but blends in beautifully. Using the dropper, place 1-2 drops in your palms and spread/pat them over your face. Now, within the first week, I already saw such an amazing difference. My pores were smaller, my skin was taut, I had that glow I was searching for. Before this, I kept facing the problem of extremely parched skin. This did help solve the problem for awhile, and I was happy. 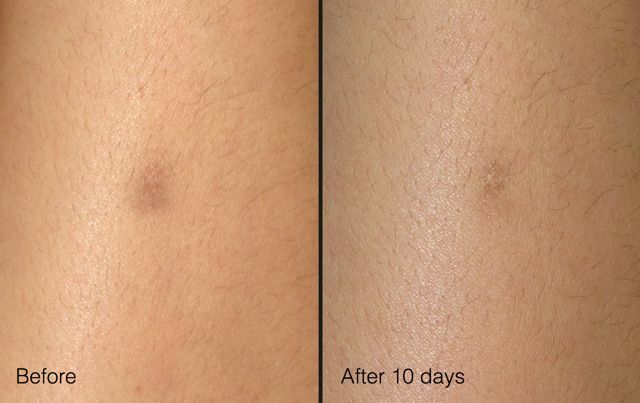 As you can see in the image above, the results are quite fast and effective! It worked exactly like that for me. I am rather unsure whether my skin got too used to the product or whether, as with all skincare, I needed to make a change. It was no longer working too well.. It did solve my dry skin issue, but only made my skin oilier. My pores also started becoming rather large and my skin duller. I am not sure if mine was due to hormone imbalance (because I do have it.. I only started having a better balance after taking some Chinese Medicine), but I decided to stop using it all the same. I cannot say this will happen to everyone. My friend who introduced it to me mentioned she had been using it for awhile and swore by it. It might depend on skin types. 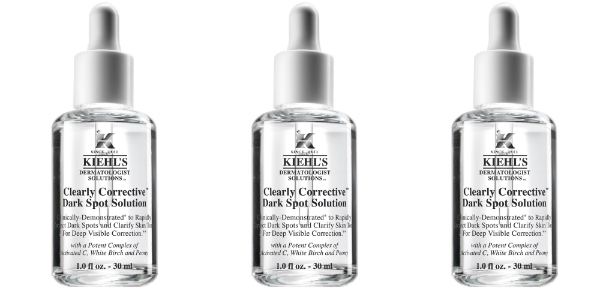 If you're interested, why not check out some Kiehl's Counters and ask them for samples? There are counters at the new Plaza Singapura, Bugis Junction, Takashimaya, City Hall Robinsons to name a few.